Here are some of the 59 victims of the Las Vegas concert shooting. When the bullets started raining down on the crowd at a Las Vegas country music festival on Sunday, Sonny Melton's first reaction was to protect his wife. "He saved my life," Heather Melton said. "He grabbed me from behind and started running when I felt him get shot in the back." 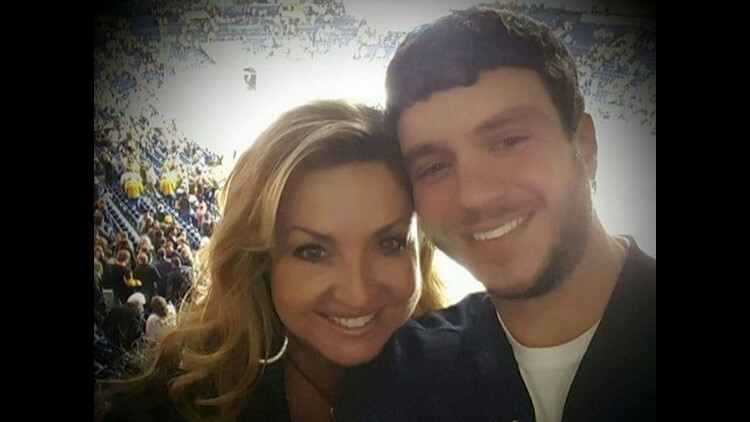 Sonny Melton, 29, a registered nurse from Tennessee, was soon pronounced dead, one of 59 people who were killed during the Route 91 Harvest Festival in Las Vegas on Sunday night. Dozens of families are going through their own version of agony as Las Vegas officials process the massive crime scene and notify next of kin. Clark County Sheriff Joseph Lombardo said Monday that nearly 60 people were dead and another 489 injured. 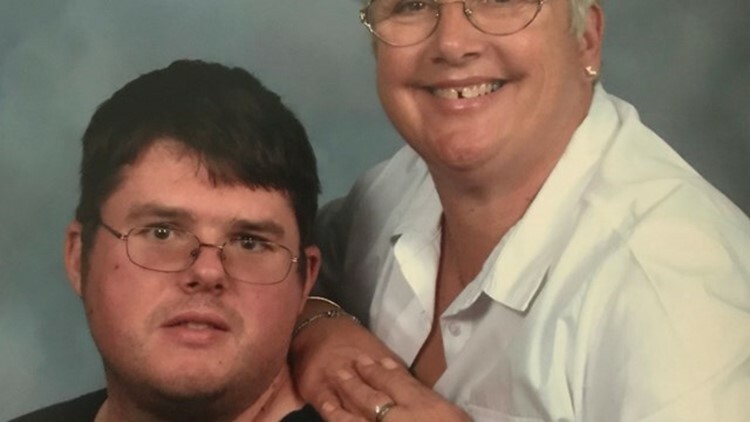 As the clock approached 11 a.m. on Monday morning, Maryanne Hazencomb stood in a Las Vegas hospital room and gave the order to disconnect the ventilator that was keeping her son alive. Chris Hazecomb, 44, of Camarillo, Calif, had shielded his best friend's wife after the shooting started. The graduate of Thousand Oaks High School, a sports junkie and country music fan, soon became the 59th victim in the shooting. With a priest by her side, Maryanne said her goodbyes. "You don't expect your kid to go before you go," she said Tuesday after returning to her Camarillo home. "He was good to everybody. He'd go out on the limb for everybody." 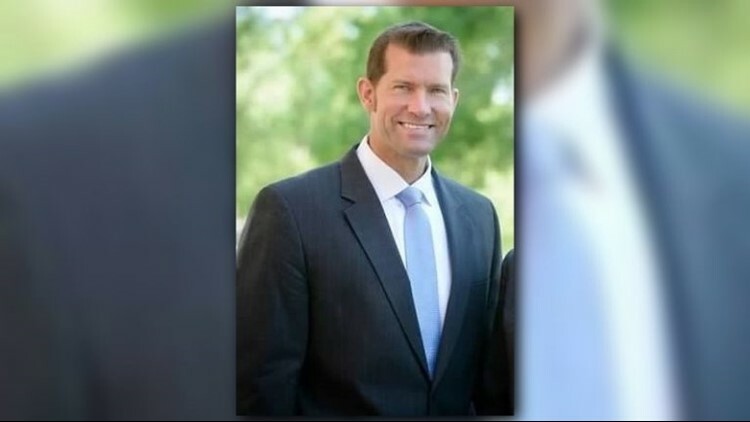 The parents of Steve Berger say the Minnesota man was one of the victims at the Las Vegas concert shooting. Steve Berger went to the Las Vegas concert to celebrate his 44th birthday with some friends. His family confirmed on Tuesday that they learned he had died in the mass shooting. Melton lived in Big Sandy, Tenn., and was a registered nurse at Henry County Medical Center in Paris, Tenn. Heather Melton, his wife, is an orthopedic surgeon there, and officials from the center said they will provide counselors to staff who are struggling to deal with this "horrible incident." "The thoughts and prayers of the entire HCMC family are with Sonny and Heather’s families," the center's CEO, Thomas Gee, said in a statement. The couple married in June 2016, according to the wedding website The Knot. "We were the couple that never should have met, fallen in love or had a future together....but life is funny and we believe God brought us together as soul mates," read their wedding page. "We have shared amazing times together and nearly unbearable heartaches but through it all we have grown stronger in our love for each other and our families." For Adrian Murfitt, the country music festival was a group celebration after a successful fishing season off the Alaskan coast. His sister, Shannon Gothard, said Murfitt was every bit the Anchorage native — he played hockey "since he was just a little tot" and would spend months at sea as a commercial fisherman. Gothard said her brother was even talking about going in with a friend to buy their own boat. That all came to an end Sunday night when a man opened fire and Murfitt, 35, was shot in the neck while he stood near the stage. Gothard said the family was reeling, and she struggled to describe the kind of person he was. "He was my brother, so of course I thought he was an arrogant little cuss," she said, struggling to laugh. "But only I can say that cause he's my brother. He had this big, jovial, goofy laugh. He'd always try to do the right thing. He had a big heart." University of Arizona graduate Christiana Duarte had just recently graduated and was working for the Los Angeles Kings. Robbins, a 20-year-old victim of the Las Vegas shooter, was an avid fisherman and snowboarder who spent his final moments with his sister, according to social media posts. He lived in Henderson, Nev.
Family members paid tribute to the young man on Facebook on Monday and established a GoFundMe account to help pay for his funeral expenses. "He was the most kind and loving soul," his aunt, Kilee Wells Sanders, wrote on Facebook. "Everyone who met him loved him ... He was truly an amazing person." Robbins studied at the University of Nevada-Las Vegas and worked in recreation for the city of Henderson. City officials said Monday they could not comment on his death. His Facebook account and those of his friends are full of pictures of him fishing and snowboarding. His sister, Skylar Robbins, wrote a touching tribute on Twitter, citing the times they snowboarded and rode off-road vehicles together. She also described his final moments after the shooting. "Everything you said made me laugh no matter how stupid it was," she wrote. "Laying next to you in the hospital bed all night was the hardest thing I've gone through, but you made me feel so at peace and I know you are with me." When news spread that a shooting was underway at the music festival, the Cedar City (Utah) Fire Department immediately sent crews to the home Albert Alvarado, a seven-year member of the department. They knew his wife was at the show. Heather Alvarado ran an in-home day care center and worked with the department's Ladies Auxiliary. The couple had three children who would come along when they went on cruises together. By late Monday night, the word came: Heather was one of the victims. "This is part of our family," Fire Chief Mike Phillips said. "There's no question that we are going to feel the soreness and loss from this senseless act of violence from this coward for years to come." Within hours of learning about the shooting, visitors started dropping off flowers outside Vista Elementary School, where Susan Smith was a popular office manager. 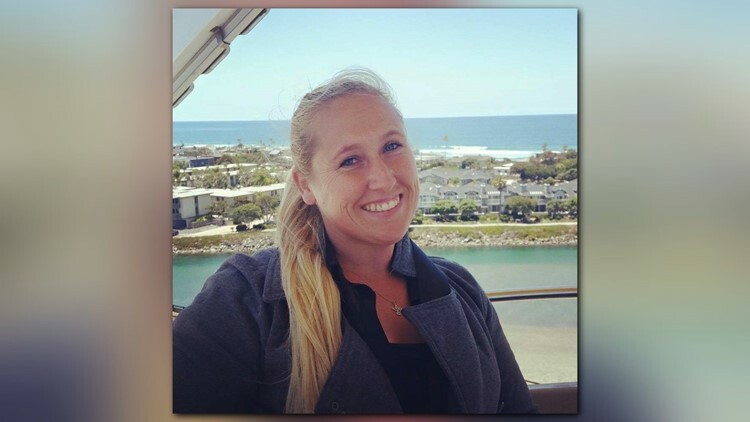 "She's the hub...really the heart of the school," said Jake Finch, a spokesperson for the Simi Valley Unified School District. 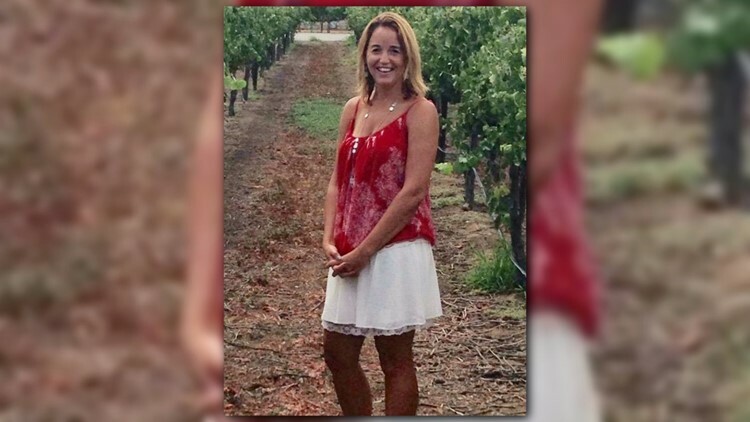 Smith, an ardent country music fan who was married with two adult children, attended the music festival with two friends from the school district. By Monday morning, the front office at Visa Elementary was filled with red-eyed parents and employees broken up over her death. Crisis teams visited each classroom to share the news in an "age-appropriate way," Finch said. Some classes made sympathy cards for Smith's family. "She was wonderful," Finch said. "She had a great sense of humor. She's patient and kind." McIldoon was attending the country music festival with his girlfriend when he was shot and killed. His parents, Al and Angela McIldoon, told CBC News that he was scheduled to return home Monday night. "We only had one child," they told the Canadian broadcast network. "We just don't know what to do." 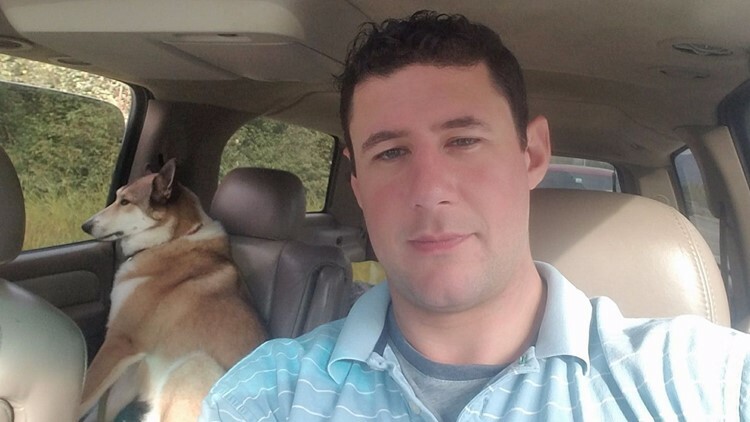 They said McIldoon was a heavy-duty mechanic apprentice and was preparing to start trade school in the Okanagan region of the Canadian province directly north of Washington state. They couple said they were working through the Canadian consulate to figure out the next steps. Rachael Parker, 33, Manhattan Beach, Calif. 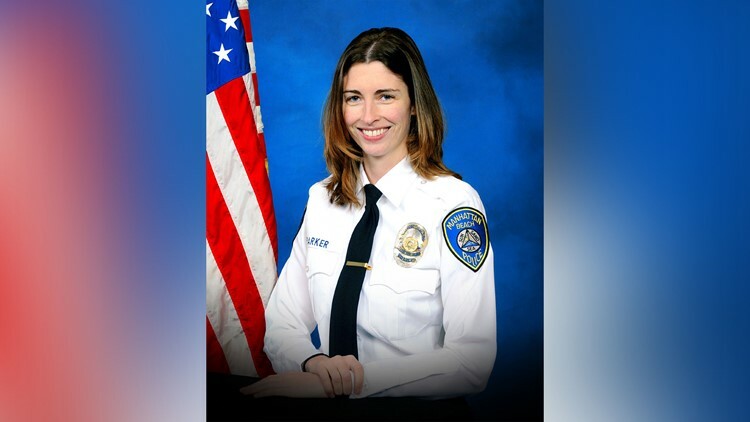 The first person anybody walking into the Manhattan Beach (Calif.) Police Department saw was Rachael Parker, a civilian employee of the department who served as a records technician and the front desk clerk. "She was one of the faces of the department," said Kristie Colombo, the department's community affairs officer. "She was always funny and smart and bubbly and always had a smile on her face." Parker was attending the music festival with three other department employees. One was an off-duty police officer who was shot — Colombo said he's expected to recover. Parker died after being transported to a local hospital. Colombo said the department was still in shock on Monday. The police chief went to Las Vegas to assist in the cleanup, and those those that remained struggled to cope with their loss. "She knew and touched a lot of people's lives over the years," Colombo said. Hannah Ahlers, 34, Murietta, Calif.
Hannah attended the festival with her husband and three other couples, the Las Vegas Review Journal reports. The couple has three children, aged 3, 11 and 14. Information on the condition of Ahler's husband has not been shared yet. Carrie Barnette, 34, Riverside, Calif.
Barnette bought a home in Riverside, Calif., last year and was working at the Pacific Wharf Café, a waterfront restaurant in the Disneyland companion park California Adventure. Friends and family described her an upbeat, happy, animal-loving spirit who owned a basset hound and country music. On Sunday, she took a bullet to the left side of her chest and died with a friend by her side, according to her cousin, Janice Chambers. News of her death quickly moved through her community and her company, even drawing a tweet from Disney CEO Robert Iger. "We mourn a wonderful member of the Disney family: Carrie Barnette," he wrote. "Tragic." Romero-Muniz, who lived in Gallup, N.M., spent all of her time around children. She had children and four grandchildren. She worked as a counselor at elementary, middle-school and high-school levels for Gallup-McKinley County Schools. That explains why her colleagues, and her students, flooded social media with glowing tributes after Romero-Muniz was shot and killed in Las Vegas. 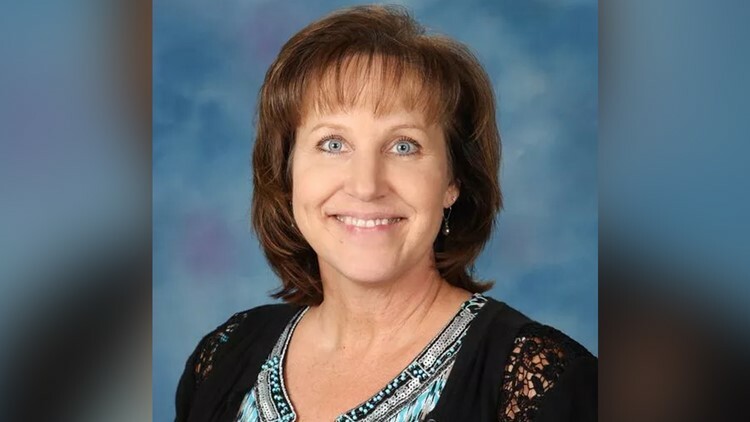 District superintendent Mike Hyatt said she, "was an incredible loving and sincere friend, mentor and advocate for students in many of our schools." Beaton and his wife were celebrating their 23rd anniversary at the festival, Bakersfieldnow.com reports. Sunday night, Beaton posted a photo of the couple with a group of friends, enjoying the festival. According to a tweet by his son, Beaton jumped in front of his wife to shield her from the gunfire. Denise Cohen and Derrick "Bo" Taylor, Santa Barbara, Calif. The couple were attending the Route 91 festival together and were both shot and killed, according to local news station KEYT. Each had two children. Austin Davis, 29, Riverside, Calif.
Davis was a pipefitter with UA Local 364, according to his Facebook page. The union confirmed his membership Tuesday. Aubree Hennigan, described as Davis's girlfriend in the LA Times, told the paper Davis was missing after the shooting Sunday. She wrote on Facebook late Monday night: "Tonight we lost an amazing man. Austin, my love, I can't believe this happened. You didn't deserve this." Thomas Day, Jr., 54, Riverside, Calif. The 54-year-old construction worker was killed in Las Vegas, his father told the Riverside Press-Enterprise. A Facebook post from Rep. Lou Correa (D-CA) described him as a father of four. Stacee Etcheber, 50, Novato, Calif.
Etcheber was a hairdresser in northern California. She attended the Route 91 festival with her husband, Vinnie, a San Francisco police officer. According to the San Francisco Chronicle, when the gunshots began, he told her to run while he stayed behind to help victims. 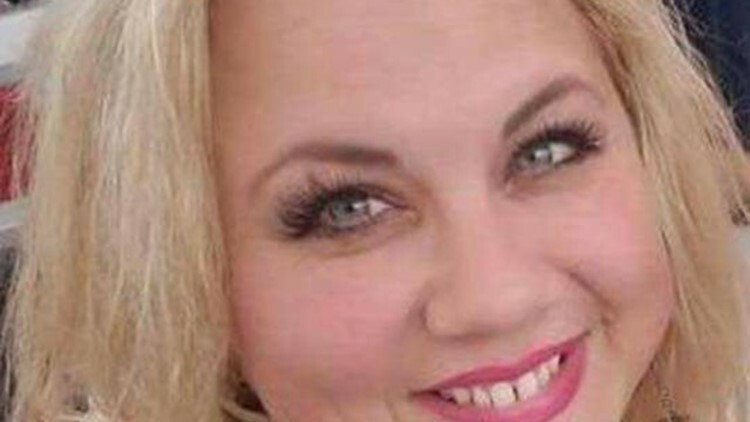 Dana Gardner, 52, Grand Terrace, Calif.
Gardner had been an employee of the San Bernardino County Assessor/Recorder/County Clerk’s office since 1991, the San Bernadino Sun reports. The Facebook page of the Riverside Polytechnic High School Parent Teacher Student Associated posted that Angie Gomez, a 2015 graduate of the school, had died as a result of the shooting. “We are heartbroken. Please join me in lifting her and her family up in prayer. She will always be loved and endeared by our Poly Family,” the post read. Viktor Link, San Clemente, Calif.
Link was among those killed in the shooting, according to BakersfieldNow.com. Jordyn Rivera, 21, San Bernardino, Calif.
Rivera was 21 and a fourth-year student at Cal State University-San Bernardino, where she was studying health care management, according to the university. Rivera was a native of La Verne, Calif. and a graduate of Bonita High School. "I personally got a chance to know her when we spent time together last summer in London during the summer abroad program. As one of her faculty members noted, we will remember and treasure her for her warmth, optimism, energy, and kindness. This is a devastating loss for the entire CSUSB family. In this time of grief, our thoughts and prayers are with Jordyn’s family, friends and all who knew her." A GoFundMe page is raising money for Rivera's parents to help cover funeral costs. "She had everything going for her," the page reads. Chris Roybal, 28, Corona, Calif.
Roybal was a Navy Veteran who had served in Afghanistan. Roybal died by a shot to the chest, according to ABC. Parks was an elementary school teacher and a mother of two, People Magazine reports. Her husband, Bobby Parks, survived with a gunshot to the arm. Bobby former co-worker set up a GoFundMe page. Jenny Parks' aunt shared her family's grief in a Facebook post. John Phippen, Santa Clarita, Calif.
Phippen operated the home remodeling and repair company J P Specialties, according to The Santa Clarita Signal, and was the father of shooting survivor Travis Phippen. Bailey Schweitzer, 20, Bakersfield, Calif.
Schweitzer is the daughter of Bakersfield Speedway owner Scott Schweitzer, who confirmed her death to BakersfieldNow Eyewitness News. Jennifer Topaz Irvine, San Diego, Calif.
Irvine was a family law attorney, according to CBS News. 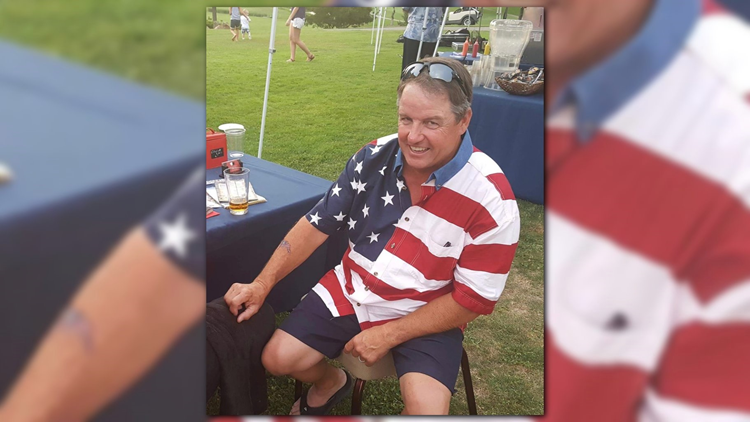 Kurt von Tillow, 55, Cameron Park, Calif.
Tillow was fatally shot and two of his family members were wounded, his family confirmed to ABC10. 55-year-old Kurt Von Tillow was killed in the deadliest mass shooting in modern U.S. history when a gunman opened fire in Las Vegas. Contributing: Josh Susong, Ryan Randazzo, and Yihyun Jeong, Arizona Republic; April McCullum, Burlington Free Press; Wendy Leung, Ventura County Star.